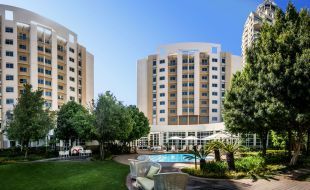 Ideally located in the heart of Sandton within walking distance to Nelson Mandela Square, free WiFi and complimentary Gautrain shuttle, it’s the ideal place to stay when travelling for business. The hotel’s two conference rooms can accommodate up to 16 people each, while the superbly equipped Sandton Convention Centre is adjacent to the hotel. Guests can enjoy meals at Riffs Bar & Grill and relax in the outdoor swimming pool with garden area and patio or keep fit in the fitness centre. Book directly with the hotel on +27 11 269 700 or email: gcsandtoncity.reservations@tsogosun.com.